Once upon a time a teacher said to his class,” Ok, for homework I want you to write a story” and the class groaned but that was once upon a time! Digital storytelling has become a very popular activity in education. Defined on the digital storytelling website (1) as ‘the practice of using computer-based tools to tell stories’, stories can be created by using a mixture of media including photos, text, audio recording and video. With the growth of mobile technology, the tools for digital storytelling are quite literally in the hands of the student. It’s obvious why digital storytelling is so popular in language classes. A class story can give both the students and the teacher the opportunity to embrace the 4Cs of 21st-century education (2); collaboration, creativity, communication and critical thinking. Storytelling has long been a means of getting students to produce work in English. 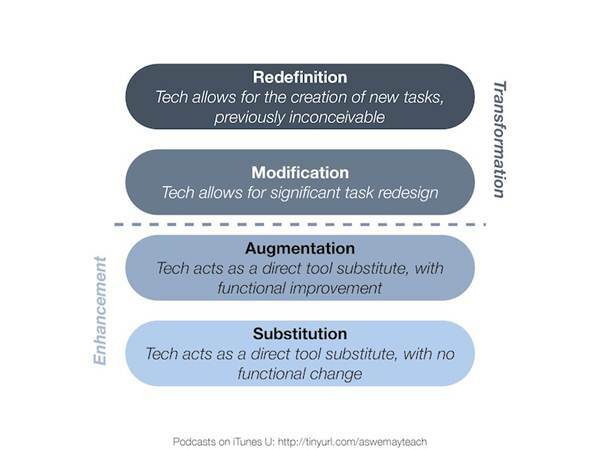 Technology, in particular mobile technology, has just created a way to make it easier and perhaps given students the chance to be more creative. 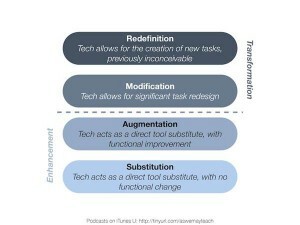 Tech users often refer to Puentedura’s SAMR model (3) when evaluating technology use and digital storytelling is a task-type where technology creates the possibility for task redefinition. There are many blogs written about digital storytelling and potentially hundreds of apps (4) that can be used in or out of the classroom. 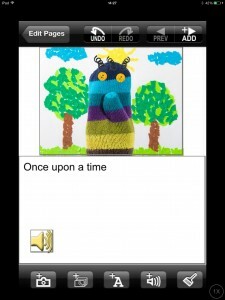 Any app where you can record sound or use of photos can be used for storytelling such as 30hands and Movenote (5) Students can narrate a story by using photos they have taken. They can produce the story in groups which is great is you don’t have a device for everyone. A ‘simple’ project would be to get the students to plan and tell a story based around a given number of photos. Firstly, they plan the story, then decide the photos they would need and the next step would be to take the photos before (re)planning and recording their stories. Then share the stories with the whole class and follow up as necessary i.e. for listening and language development. Collaborative projects such as storytelling are a great way of dealing with mixed ability classes by giving those whose skills might not be language the chance to shine. The project above is an example of this as it calls for photos thus tapping into the skills of the budding photographer and the apps I mention later on tap into artistic talents such as drawing and design even more. Therefore, the better stories are likely to be from those groups that have drawn on the talents of the group as a whole, not just the linguists. Such projects will to be motivating for all students and you’ll find that rather than having to ‘teach’ the language, you may find your role changes and you’re advising and helping students frame their thoughts and dealing with language as it emerges as they put together a story instead. Apart from just using photos and voice, there are apps that allow for an even more multimedia approach to storytelling. These apps add the typed word and the possibility of creating drawings rather than just using photos. You could use these apps for longer projects with the end result being book-like creations. You can even use them to encourage school story-writing competitions. However, bear in mind that such apps tend to be for IOS devices rather than android. One such app is Storykit.(8). It is free to download and works on iphone, ipad and ipod (though you might need to look in iphone apps to find it in itunes). The app has some ‘classic’ stories in it that can be edited or remixed by the user. However, you can also create your own stories by typing, drawing , uploading photos and adding audio (either as a narration or a sound effect to augment part of the story). The photo below shows how they all fit together to create a page of the story. A potential disadvantage when comparing it to similar apps is that the only way to share the work is through Storykit’s own site. You upload your finished work and it sends you a link that you can share. While this might be seen as limiting, it does mean that students don’t have to create accounts to use the app. There is, however, an app that allows you to share in different ways – it’s called book creator. 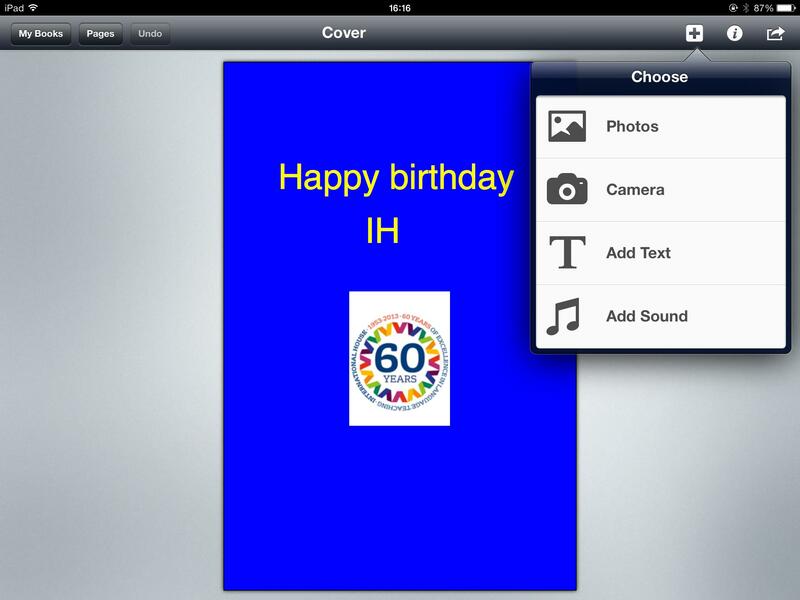 The finished work can be printed, emailed, converted to pdf, opened in various apps and even put on ibooks. As it is very easy to share it means that students’ work has a real audience; not just the teacher although unfortunately it’s not free (though you can download a free version to try it out and make one story). As with Storykit you can type, draw, upload photos and add audio but the layout is more sophisticated. (5) 30Hands works on IOS. Movenote works on both IOS and android. If you and your class do make digital stories, share the links with me and I’ll include them in a future column. Author’s Bio: Shaun has been involved in English language teaching for over twenty years. He is currently the International House World Organisation Teacher Training Coordinator. He also maintains several online teaching sites including ihonlinetraining.net and is interested in the application of technology to teaching. He is a moderator of the twitter #eltchat group which meets every Wednesday to discuss issues and ideas in ELT and membership secretary of the IATEFL Learning Technologies SIG. Feel free to follow him @shaunwilden or read his blog (shaunwilden.com). When not sitting at a computer, Shaun enjoys growing food in his garden and then cooking it.